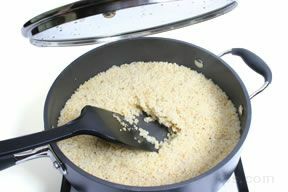 "Having never prepared millet before, I followed the cooking instructions ... read full review"
The three basic techniques for cooking millet with hot liquid are boiling, absorption, and steaming, which are perhaps the most popular methods for cooking most whole grains. 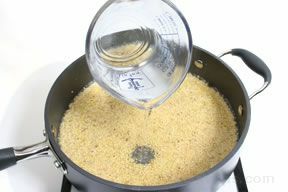 Often a combination of these methods is used to cook grain depending on the type of grain, the particular recipe, or the desired effect. Some grains benefit from soaking before they are cooked because cooking with hot liquid alone may not produce the optimum results. Millet expands significantly when cooked in a small quantity of water, resulting in a light and dry texture. When excess water is used, it develops a thick, mushy texture much like mashed potatoes, which makes it an excellent side dish. 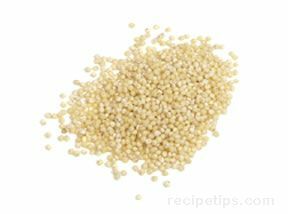 If millet is cooked improperly it can become very dense, hard, and useless. Millet cooked to a dry, grainy texture can be used as a side dish similar to rice or couscous, or it can be used as an accompaniment to stir-fries or stews. 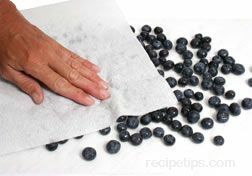 When a fluffy consistency that is dry and light is desired, the following steps can be used. 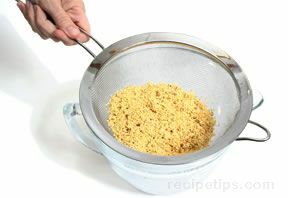 Rinse one cup of millet and allow it to drain completely. 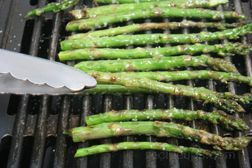 In a heavy-bottomed skillet, heat one tablespoon olive oil over moderate heat. Add to the pan the one cup of rinsed and drained millet and toast it. 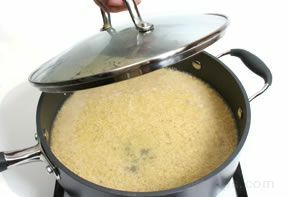 The cooking oil is not a necessity, but it does help to prevent the possibility of the grain sticking to the pan. 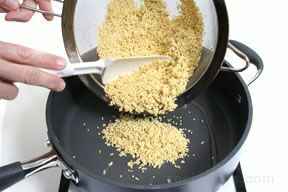 To prevent the millet from burning, it is important to keep the grains moving while they are being toasted, either by stirring the grain or shaking the pan. It is best to toast the millet only until it begins to change color, otherwise it may burn. 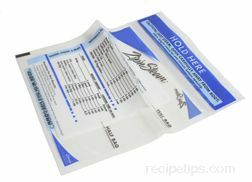 Pour in two cups of hot liquid (water, broth, or stock) and add one teaspoon of salt. Stir and bring the liquid to a boil. 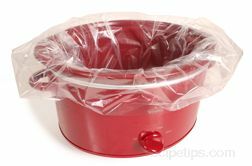 Leave the covered pan undisturbed for twenty minutes; then check to see if the liquid has been absorbed into the millet. When all the liquid is absorbed, remove the pan from the heat and let it stand covered for five minutes. 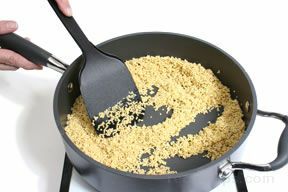 Fluff the millet grains with a fork prior to serving. This recipe yields about four one-cup servings. 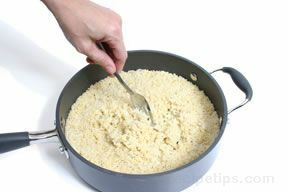 "Having never prepared millet before, I followed the cooking instructions exactly and the end result was great. Thanks very much."